Welcome to TBC Conversions, one of the UK’s leading vehicle conversion and adaptation specialists. Established in 2006, we work across the UK and Ireland to provide high quality conversions for models produced by all the major vehicle manufacturers – from Volkswagen and Citroën to Mercedes-Benz. As a trusted specialist, we have helped thousands of customers in both the private and commercial sectors to adapt their chosen vehicles to their unique requirements. Our team of skilled professionals attends to every detail, ensuring each vehicle is designed and built with intelligence, empathy and care. Thanks to our long-standing partnership with Volkswagen Commercial Vehicles, we became the first conversion business in the UK to secure European Whole Type approval on the Caddy and Crafter models. This achievement reflects our commitment to producing the very best vehicle adaptions and providing outstanding customer service. At TBC Conversions, our company is divided into three main sectors: mobility conversions, taxi and minibus conversions, and specialist conversions. We are proud to be able to use our expertise to transform the lives of customers who require mobility and wheelchair adaptations. Our vehicles are completed to the highest standard and enable many drivers and their families to retain their independence. Alongside the range of driving and stowage adaptations and wheelchair accessible vehicles we currently provide, we are in the process of adding a flexible VolkswagenT6 range, which is perfect for those needing a larger wheelchair accessible vehicle or an internal transfer. Our team of mobility consultants provide free home demonstrations to anyone living in the UK or Ireland, as well as advice on financing, private sales and options available through the Motability Scheme. If your organisation requires taxi or minibus conversions, we’re able to help. Whether it’s for the public or private sector, we have experience converting a whole host of vehicles to meet specific requirements. You can choose our bespoke service if you have precise needs, or opt for one of our accessible models, some of which are available for immediate delivery. We can also outline our selection of finance packages to suit your budget. Tradesmen, utility companies and construction firms often need their vehicles adapted to a precise set of specifications. This may include ply lining, racking and shelving, the addition of internal electrics, refrigeration systems and more. At TBC Conversions, our trained team can fulfil these requirements, delivering a high quality end product that you can rely on. To find out more about our conversion and adaptation services, browse through our website or contact your local TBC Conversions facility. 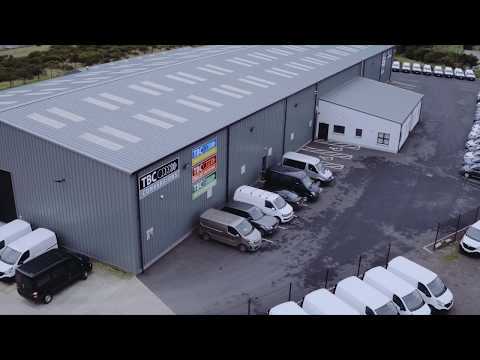 We are located in Bromborough near Liverpool and Dungannon, Co Tyrone, and our friendly teams will be happy to discuss your requirements.